“The purpose of all major religious traditions is not to construct big temples on the outside but to create temples of goodness and compassion inside, in our hearts.” – Tenzin Gyatso, 14th Dalai lama. Yes the quote says it all. Our religion what so ever it may be Hindu, Islam, Christianity, and Sikhism etc. teaches us to be a good and a noble soul. All the religions with due respect have teachings but motive of all these teachings is one, that is, to teach us the right way to live our lives. 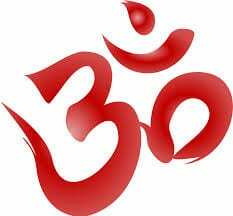 Hinduism is considered one of the oldest religion in the world. Some people call it “SANATAN DHARMA.” The term Hinduism and Hindu is were coined by the invaders who used these terms to refer to people whom they encountered with while crossing the Hindu Kush mountain and arrived at the Indus River. Both of them are Sanskrit terms. Just the way every religion has teachings in the similar way each and every religion has Myths associated with it. Not only Cows Hindus believe in respecting all the creations of God just like any other religion. The concept of life according to Hinduism is that every living thing has Soul and harming any creature having soul is considered a “Paap” that is a wrong deed in Hindu religion. Cows are always seen as mother figures. “There is no love like a mother’s love” is actually a true saying. Just like a mother provides milk to nourish her children without any demands and are naturally blessed to do it, Cows are blessed with a similar trait. This is the reason Hindus abstain from eating beef. If a person is still lying in the history or is a stereotype then he/she can say caste system really matters to him/her nowadays. Even the Hindu scripture RIG VEDA says “there is none high or low amongst you. You are all brethren and therefore strive altogether to attain prosperity.” In fact nowadays people have given up such thinking, it did exist in the past where higher castes were the only ones to attain education and the lower castes or the untouchables (Harijans: Gandhian term) were ill-treated but now all are equal without any discrimination. “Karma is not fatalistic.” Earlier people used to put each and every blame on the destiny without watching their actions. Lord Krishna says “karma kiye ja fal ki chinta mat kar” because you are going to get what you give others. You try to insult people you will get a good answer in turn. Karma is nothing but our daily life actions. What we do, what we preach, our way of life. A Hindi saying says “jab boy aped babool ka toh aam kaha se paega” which if translated in English means “You reap what you sow” Don’t expect good marks if don’t really study hard similarly don’t expect good if you are doing good. Although the roots of this come from “Ahimsa” that is the concept of non-violence and killing of a creature to satisfy your taste buds is considered a wrong deed in Hinduism but the statement that all Hindus are vegetarians is wrong as about 30-35% Hindus do eat non-vegetarian food. Although Hindus refrain from eating beef due to motherly image of cow but that doesn’t means that they say “BYE-BYE” to non-vegetarian food completely. A matter of trust. A religious Hindi song goes like this “Mano toh main Ganga Maa na mano toh behta paani” that shows the power of trust. If you ask Hindus no Hindu will ever say they worship Idols, it is just a matter of trust. It is just like a medium they use to concentrate or meditate in order to get inner peace and they believe it to be a physical representation of god. No dead man after being burned or from the grave will come and tell what is going to happen in after life. We simply know that “Earth is round and everything comes back to you.” Nobody knows what will happen after being dead. So the myths associated with deaths like- frying in hot oil, making you a sieve using pins etc. has no basis. Only Karma has. Watch out for them. After watching this amazing myth buster movie I got to know that their no base of such believes that God calls you to any sacred place, it’s your believe, trust and wish when do you want to visit a temple or a holy place. God will not send invitation cards to meet you. Your devotion and love is the only key. Hindu women do have a tradition of wearing red bindi (dots) after getting married but it is not only a tradition, today it is more or less a fashion statement and not only red but today we find colourful dots in the market for fashion and decoration purposes and many girls and women of all the age groups do wear them, irrespective of their marital status. If you open the pages of books buried under the sands of time, then you will surely find a time when women were considered subservient but still they never got demotivated by whatsoever happened with them. Rani lakshamibai was an Indian freedom fighter of that time and even today women have shown the guts to get out of their household neglecting the sayings like “Mummy ki roti gol-gol, papa ka paisa gol-gol” that sow the seeds of differentiation from the very beginning that is the childhood days. Today Women like our Ex- president Pratibha Devi Singh Patel are no-where less than anyone and even the families nowadays are very supportive neglecting the societal norms meant for women. 1. 330 MILLION GODS AND GODESSES. The supreme power, the one above all is the “Almighty GOD”. He is the father of all and this one father of all has many “swarups” (forms) Hindus worship different forms depending upon the functions. Like, The Trideva that is – BRAHMA –THE CREATOR, VISHNU-THE PRESERVER AND MAHESH- THE DESTROYER and believes like LAKSHAMI- THE GODDESS OF MONEY, SARASWATI- THE GODDESS OF EDUCATION and so on. Due this believe and different names of gods and goddesses Hinduism is also called polytheistic but it is not. Some believe it to be Monotheistic and the discussion still goes on.